December 3, 2012  "I could lose my life," Jeffrey Hillman tells The New York Times. He fears being killed for the boots, so he isn't wearing them all the time. A photo of New York City Police Officer Lawrence DePrimo giving Hillman the footwear went viral last week. February 9, 2011  The homeless man who skyrocketed to national fame thanks to an Internet video isn't in rehab anymore — but says he is living in a "clean and sober" facility and working again. January 13, 2011  This news comes after he and some family members were taped yesterday for a Dr. Phil show appearance that airs today. And it follows the reports of a "disturbance" this week involving Williams and one of his adult daughters at a Los Angeles hotel. January 11, 2011  No arrests were made, but Los Angeles police did bring him in for questioning Monday night after he got into a loud argument with his adult daughter. 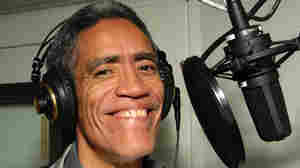 Williams has gone from living on the streets to national fame because of his deep voice. 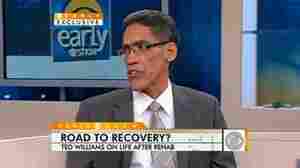 January 7, 2011  "I felt like I brought so much disgrace to this woman," Williams said on The Today Show. "Don't disappoint me" again, mother Julia asks. January 6, 2011  Williams, who in just a couple days has gone from living on the streets in Columbus, Ohio, to national fame for his radio-perfect voice, saw his mother today for the first time in about 20 years. January 6, 2011  His life has quickly turned around, and the Columbus, Ohio, man says he's going to take advantage of the new chances he's been given. 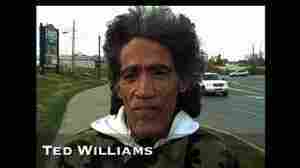 January 5, 2011  Ted Williams lives on the streets of Columbus, Ohio. But thanks to a video showcasing his radio-perfect voice, his life has suddenly changed. Better than an NPR announcer?